Samuel does not like carrots. He does not like sweet potatoes, nor anything with a name that he finds ridiculous. Jicama and guacamole, for example, are ridiculous names and thus, Samuel wants them nowhere near his dinner table. While this sounds like the plight of parents around the world, the difference this time is that Samuel is 78 years old – and perhaps a pickier eater than even his own grandchildren. In-home caregivers and family caregivers alike know what it’s like to deal with picky senior eater. While many seniors are eating restricted diets due to medical conditions, there are also seniors who are eating a very limited selection of foods based simply on what they will (or won’t!) eat. This lack of dietary variety leaves many caregivers concerned that their elderly loved ones aren’t getting the proper nutrition and makes meal preparation a daunting task. 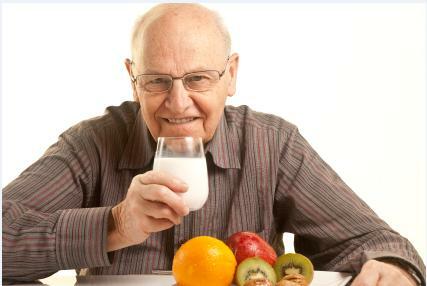 Many foods that are common in today’s market weren’t widely available over the lifespan of many seniors. For example, foods like hummus and tofu have become commonplace over the last decade, long after many seniors were already set in their dietary habits. Additionally, cultural norms may affect what seniors are used to eating based on ethnicity. For example, seniors of South American descent may be used to a starch-heavy diet, even though it may not be the best eating format for their current wellbeing. Proposing changes in a senior’s dietary habits can be difficult. 1. Present foods in unexpected ways: If a senior loves burritos, but dislikes vegetables, consider preparing a delicious burrito with veggies as part of the filling. Grilled peppers, onions or corn can make a delicious filling that a senior may find intriguing. Professional caregivers can make notes of foods that fly and those that flop in their homecare software or homecare software. In turn, family members can help build on and continue efforts to expand a senior’s palette by reviewing notes of new likes/continued dislikes via log-ins to an agency’s homecare software or homecare system. You can’t always blame seniors for being picky. Certain people just don’t like certain things and after decades of habit, it’s not likely that Samuel will be scarfing down sweet potatoes next week. However, encourage homecare workers to try introducing new foods by asking tasks be put in their homecare software or homecare system, and keep trying on your own, too. When a new favorite is found, note it as a meal option in your provider’s homecare system for caregivers to keep on rotation. Whether you’re dealing with a 8 year old, or an 80 year old, picky eaters of all ages can present a nutritional difficulty. However, seniors who have individuals encouraging them to try new things may find a whole new world of foods to enjoy, and with the power of a homecare system, like ClearCare, you can ensure that a senior’s entire care team knows whether or not those carrots are safe to put on the dinner plate or not. The seniors mentioned in this blog are fictional.